You may have heard how medieval rulers have been killed in battle or died from an assassin’s blade. But did you know about the king who died from uncontrollable laughing or the emperor who was dragged 16 miles through a forest by a deer? 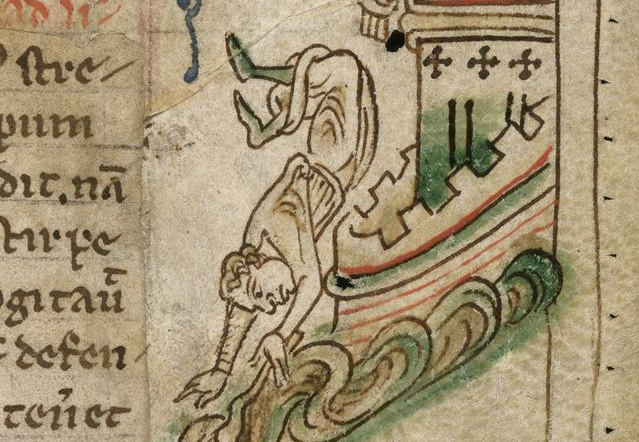 Check out our list of the top ten strangest deaths from the Middle Ages! The son of a Welsh prince, Gruffydd was being held as hostage in the Tower of London when he tried to escape by lowering himself down in a rope. However the rope broke, and Gruffydd fell 90 feet to his death. Some accounts state that the emperor fell unconscious after drinking heavily. His wife Empress Ariadne declared Zeno dead, had him placed in a sarcophagus and refused to allow anyone to open it when they heard his calls for help. This English Pope suffered from a form of tonsillitis that caused puss to build up in his mouth. According to one account, he took a sip of wine and began to choke on a fly, which had been floating inside his goblet. Combined with the puss in his throat, the Pontiff died within minutes. After defeating and killing Mael Brigte the Tusk in battle, Earl Sigurd strapped his severed head to his saddle and rode back home. As he was riding, Mael Brigte’s teeth cut into his leg and the wound became infected, leading to Sigurd’s death. After a day of hunting, the English king decided, against his doctor’s advice, to dine a plate of lamprey eels. That night he fell ill and soon died. The 75-year old Emperor was out hunting when his belt was caught in the antlers of a deer, and he was allegedly dragged 16 miles through the woods. He was saved by an attendant who cut him loose with a knife, but he suspected the attendant of trying to assassinate him and had the man executed shortly before he himself died. The erratic brother of King Edward IV was found guilty of treason by and ordered to be executed. According to some reports, he asked to be drowned in a large vat of Malmsey Wine, his favourite beverage. Martin was suffering from indigestion on account of eating an entire goose when his jester entered the king’s bedroom. Martin asked him where he had been, the jester replied “Out of the next vineyard, where I saw a young deer hanging by his tail from a tree, as if someone had so punished him for stealing figs.” The king started laughing uncontrollably until he fell over and died. Was the White Ship disaster mass murder?